Secure mobile data connections, with no employee over-ride. Staff often connect to insecure data networks such as open Wi-Fi. They are unaware of the risks. Existing solutions need manual user intervention and thus have poor staff compliance. Many current corporate VPN solutions were designed for the pre-mobile, pre-cloud age. They cannot adapt to the way your employees now wish to access company data. Up to 60% of your team’s communication could be on mobile devices. In the case of a Wi-Fi security threat, organisations find it hard to react and secure their network. Automatically activate a secure VPN whenever a mobile device accesses the internet and triggers specific security policies. Activate when needed, according to corporate policies in force. Managed and deployed through your corporate MDM/EMM platform. 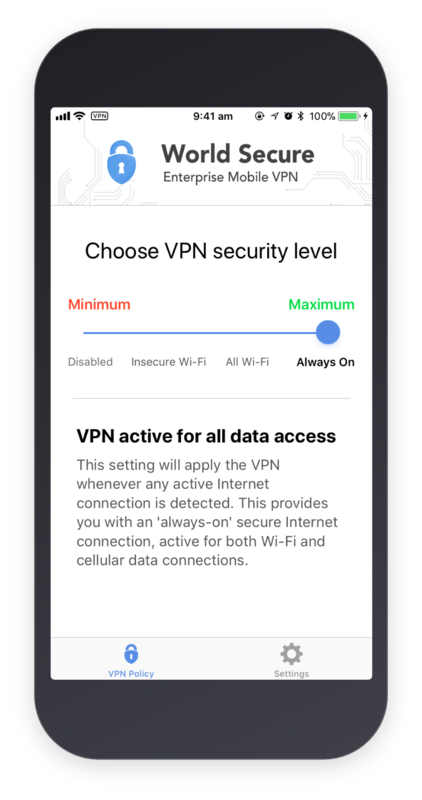 Automatic VPN Protection to guard against the interception of critical personal data when surfing an open Wi-Fi access points. * Please note that use VPN services are limited or prohibited in certain jurisdictions. Please ensure you always follow local laws and regulations. Set-and-forget. Seamless security can now be achieved enterprise-wide at the speed of light. Take instant control of personal and corporate security policy with a VPN and IKEv2 encryption.  World Secure is ‘always-alert’. 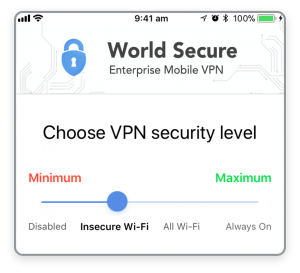 The App automatically initiates a secure connection so every Wi-Fi session is protected – without the user noticing any difference. No employee training required. One more thing – In the case of increased security threat, the CIO Group can rapidly respond with a central security policy. MDM-assisted VPN control overrides personal settings to protect your entire organisation in a few clicks. Users “set and forget” their own VPN policy. CIO Group takes temporary VPN policy control. Enterprise update is instant. 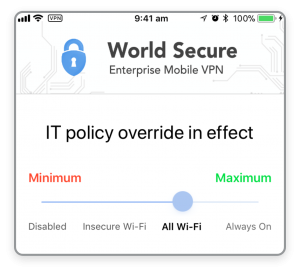 The policy-driven, automated mobile VPN client for your entire enterprise. Deployed quickly. Set and forget.